For those living in California, the threat of an earthquake is always there. Unless you have experienced a “big one” you probably have become complacent to the damage and destruction a really big earthquake can wreck. Californians also deal with a season that most states lack: “fire season.” While this season was once thought to be restricted to certain months of the year, it has now become a nearly year-long reality. 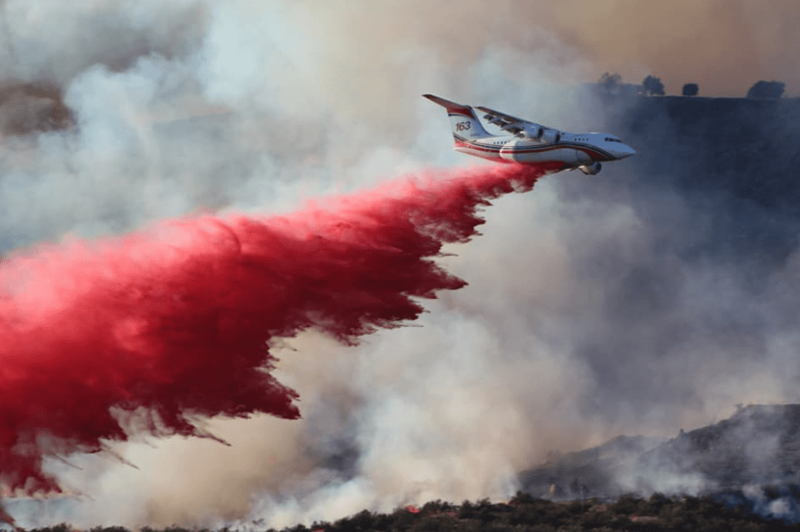 Photo: airplane dropping flame retardant. Credit: Heath Bernstein. 2017 is ending with a string of fire storms in Southern California. While other states are starting to report snowfall, California is experiencing temperatures in the 70s and 80s with strong, dry Santa Ana winds. Warm weather, winds, and dry brush are the perfect ingredients for the six major California fires that started to burn in December. 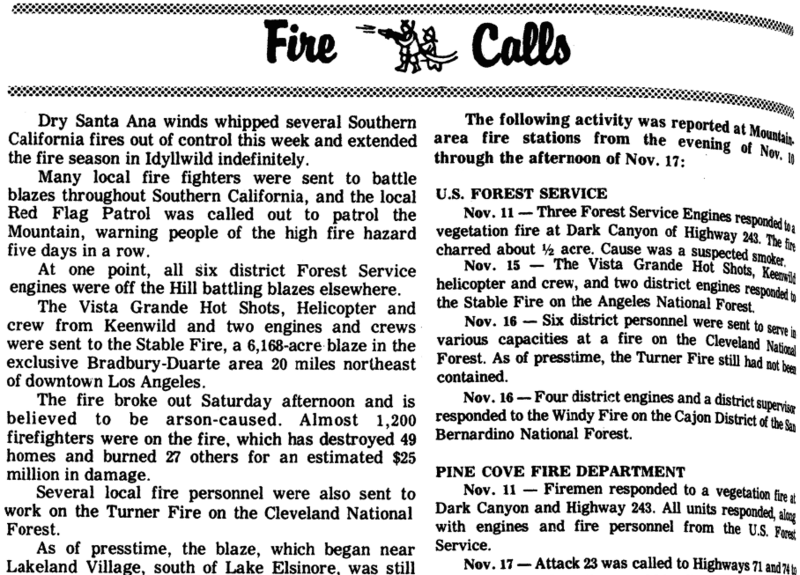 At first, these December fires were nowhere near where I live. The nearest fire was over an hour and a half away. I had been reassuring concerned friends that my family was in no danger and there was nothing to worry about. However, that changed in a matter of about an hour – when we went from being far away from the fires to having a fire that was at the end of my street! No known cause has been determined yet, but with high winds and a field full of dry brush it was just a matter of time before we could be in grave danger. Photo: the author took this photo from her driveway as smoke and flames approached her neighborhood. Credit: Gena Philibert-Ortega. As we watched the black smoke, fire engines, and police officers gather in our neighborhood, it was obvious that plans needed to be made. By the time the sheriff told us we were under voluntary evacuation, I had already started packing the car to leave. With the amount of smoke present and the visible flames, the fire had quickly become a little too close for comfort. So, in a matter of moments, what do you take knowing that everything else might be destroyed before you can come back? What do you decide are the most precious items to bring with you? Obviously, there will be things related to your day-to-day life you’ll want to leave with – but what about your family history? What documents, photographs, heirlooms, books and other resources do you take with you? Get It Off Your Computer! One thing that became obvious to me as I was packing up was the importance of not only backing up computer files, but also having that backup in more than one place. For me, I realized that I didn’t have all of my family photos digitized and stored in the “cloud.” I have started that process but am not quite done. Now that the emergency is over and my family is safely back home, that is a priority. Make sure that you back up your computer regularly and that you digitize your family history and photos – and store everything in the cloud. My family’s recent voluntary evacuation gave me the “luxury” of time to decide what to take; however, you will not be afforded that if faced with a sudden mandatory evacuation, or if you are away from home during the emergency (for example, at work or travel). After our voluntary evacuation, my son and I traveled to my parents’ home. One of my mom’s first questions when we arrived was if I had grabbed all of our “important papers.” Now, of course, when I hear “important papers” I think genealogy – but she was thinking financial paperwork. You know what? I didn’t grab any financial records because I felt like they could, with some effort, be replaced. But I did consider my genealogy papers and which of those couldn’t be replaced – and was overwhelmed to realize there was too much to grab. Everyone’s list of what to take in an emergency is going to be different, and that’s ok. But now is the time to seriously consider what should be digitized and uploaded to the cloud – or even given to a family member on a flash drive should something happen. What genealogy papers should you digitize? If you’re overwhelmed by the process, start by digitizing original copies of items or documents that cannot be easily replaced. For now, skip scanning things like copies of documents easily found online (census records, for example). What heirlooms do you have? Some items that made it into my car were my great-grandmother’s hand-painted 50th anniversary china bowl, a souvenir from Paris owned by my husband’s grandmother, and my maternal grandmother’s hand-made soap. I also grabbed various framed photos off the walls. I know that seems eclectic and weird (something my son pointed out when I couldn’t find clean clothes in my suitcase the following day). But those are items that, once they are gone, they are gone forever. Did I forget some things? You bet! So that’s why I’m following through on a plan I’ve had for a while but have never completed: I’m putting together a book of heirloom images that include provenance details, etc., so that if something was to happen and everything was destroyed, we would at least have a physical reminder of those items. And yes, I will be backing it up to my cloud storage. No matter where you live there’s a chance of some sort of natural or man-made disaster. Fires, earthquakes, tornados, hurricanes, you name it. As genealogists we are the custodians of our family heirlooms and memories. So, we need to take that responsibility seriously. We may not be able to do much in the case of a sudden emergency, but planning ahead is much better than making a last-minute decision in the stress of the moment. We evacuated before Hurricane Harvey and my genealogy materials and bags of old family photos were some of the first things we packed into the car. I’m glad I didn’t think about leaving them in the house, even up high, because the humidity in the house from the flood water in the following days would have been terrible for them, and there was always the possibility that whatever they were sitting on top of (e.g., shelf, filing cabinet, table) could have been toppled by the water. When in doubt, take them with you. Well thought out and well written, Gena. Good point. You had to worry about more than just the hurricane especially since you had no idea when you’d be back. It’s a good idea to figure out what you absolutely have to take with you so that when you have only minutes you can grab those things and run! Very well written. This will drive my work in the coming year as I reorganize my family notebooks and artifacts. Thank you. Thanks Susan! Believe me, it will be part of my priorities for my new year as well. Yikes, Gena! Sorry you had this terribly educational experience. Your words have the added weight of actual experience and authenticity. Thank you for writing this, because it will doubtless inspire at least some of us all out here to Resolve for the New Year to get cloudy! See you in Salt Lake. Thanks Betsy! While it was not a pleasant experience, compared to others we had it easy. It was, however, a good wake-up call and it gave me the opportunity to think about what I still need to do with my family history research. Thank you for this information/advice!! I will bring my Mum’s journals, my grandmother’s letters (from England), & 100+ year-old “Day books.” I will put material on my Husband’s side, etc., upstairs, & maybe put them in a “well labeled” plastic file box!! I will also “make a list” & have it handy!! A great list of items to take. One of the things I’ve learned from talking with other researchers is we need to do a better job of digitizing/documenting what we have just in case we can’t take stuff with us. Something to also consider. Thanks for reading the article and taking time to comment, Kathleen! I appreciate it! Great article and thought provoking. I live in Vancouver BC prone to earthquakes. An aunt lives in Vernon BC and for years she has had all her family photos stored in a small bag near her bed, which she can grab at a moment’s notice. She’s the most organized person in my family. She doesn’t have a computer. I’m glad you were safe! My father in law experienced bad wild fires in 2003 in Barriere BC. He had to leave in 5 minutes. He grabbed clothes but no photos, so since then we’ve scanned in all those family photos! He was safe and so was his property. It was very frightening, as he was gone from his house for 2 weeks. Great job scanning all your family photos, Loretta! I need to concentrate on that as well. The fire is definitely a wake up call that makes you reconsider what you’ve been doing as the keeper of the family heirlooms. I read your article with great interest. I have been preparing myself for a “What if?? ?” situation. I have been working on my mother’s genealogy project for going on 45 years now. My Mom asked me if I could put all her hard work records into a computer to keep them “Safe.” I told her “Yes.” I have scanned and entered 80,000-plus records into my computer over the years. I have them backed up at least three different ways. I feel the computerized files are safe. Now, my big concern is: When I die, Who or Whom do I leave my Mother’s and my research paperwork to? Everyone needs to make preparations for the future, because there aren’t very many people or organizations that want your paperwork (UNLESS you’re famous). So prepare now to have someone you trust inherit all your hard work, expense, and time — or the local landfill might be its final destination. Just thinking ahead. I love this stuff. Gary, you are absolutely right. When my cousin knew she was dying of breast cancer, she contacted me and talked about what she wanted to have happen to her genealogy and photos. When she passed away, I took possession of everything. Now, one of my concerns is that I make her research available so that it just isn’t sitting in my house but can be found by those who would benefit from all her hard work. I guess my advice to you is to find that person. You can also start thinking of ways to make it available online via a family tree or a blog, etc. Living in Florida through Hurricane Irma and other hurricanes past, I have a BOB (Bug Out Bag) always ready just in case. There are actually 3 bags — 1 has water packets that are available online, the other has food, medical and shelter items for 2 adults all in compact forms in a backpack, and in the third BOB is my 1 TB hard drive, photo albums and framed photos along with genealogical papers — this is a big plastic container with a secure lid — it is portable and brings peace of mind for if or when we may have to evacuate. I also keep my pantry stocked with dry foods, bottled water, canned fruits, meats, and beans and we ate well during our 5-day power outage after Irma, with a little forward planning. I hope this helps someone else with their preparations. Michele, thanks so much for sharing that. Your BOB is important for everyone and I think we should consider putting together something similar. You can never be too prepared! Excellent point, Patricia! We tend to forget that when the firefighters are saving our homes, there can be other damage besides smoke. Another good reason to digitize all paper items (including photos) that have family history value. Even though I hope I never have to anticipate leaving my home, I would never leave my genealogy computer and all the pictures of ancestors I have accumulated. I keep two computers backed up every day just in case. Pictures are in albums so they are very bulky and so my priority for this year is to complete getting all pictures on computer or CD’s. I have also been putting genealogy off-site to other members of family in case I would lose my computer. Also, at the end of each year I back up all my ancestral lines and put on CD’s. I am trying to go from paper to CD’s because of space. I have also checked with my local library and they will also take any of my genealogy on CD, books, etc. I plan to let them keep copies also. When you have over 100,000 names on your computer, you plan very carefully on how to keep it. I want to thank the person who wrote this very well written article. It should be a wake call to all of us that value our genealogy. Thank you Mona for your comment. I think one of the key points you mention was offsite storage of your backup. In some cases you may not be home when an emergency occurs so having your heirlooms, files, photos ready to evacuate won’t do you any good. We need to be mindful of various situations that can happen. I would grab my memory sticks, portable hard drive, framed photos off the wall (some can be replaced), I have a suitcase full of letters going back 40 years -– I don’t know if they are worth saving — and that is about it. My genealogy is recorded on geni.com. I have a set of glasses that were my mothers -– she died nearly 50 years ago. I don’t know if my two daughters would be that interested in keeping them. Unfortunately, I don’t think there is anything else worth saving -– might be just as well. What’s important is to have a plan. Luckily, it sounds like you do. Thank you for sharing. Excellent plan for any situation. Now I must get to work on my plan. Doris, thanks for taking the time to read the article and comment. I hope that many of us take some time in 2018 to start making our plans. We’ve spent a lot of time and money on our family history and it deserves to be preserved for the generations to come. Take care! I have too many photos — 2 filing cabinets, all digitized — so wouldn’t grab them. Depending on whether we would grab the truck or car, I would grab the computers and hard drives, flash drives, sources not recorded. Need to digitize more sources. Also, important papers would be my responsibility. For me not everything is digitized and backed up to the cloud yet as that’s a big project. While you may not want to scan an entire diary/journal, even just a few pages of it would be better than losing it entirely. For my wonderful history books, making a spreadsheet with the titles and authors would make looking for another copy easier. There are websites and apps that can help with this. Certainly, some books are not replaceable, or it won’t be the one that came from your great grandmother. Again, if there may be some particular pages to scan and also a photo of the book may be nice to have. It’s amazing how many old books are becoming available on line, it’s not the same as having it in your hands, but wonderful that the information is available. If you have any old audio or video recordings (perhaps an interview with a now-gone family member) that you’ve been meaning to take care of -– do transfer them to the appropriate CD or DVD (with an electronic copy on your computer that can get backed up to the cloud). Some of my most treasured photos are not only of ancestors but also of their treasured possessions. While I have some of the antiques my grandparents had, I do so love to look at the photos they took around their house or of specific items. Having those backed up with any possible descriptions is a priority to me. Consider sharing copies of research and photos along with scans of letters, documents, & memorabilia with your local historical society, or maybe it’s another historical society where your family lived or spent a considerable amount of time that would be interested. We live in a hurricane-prone area. I have found that after a few years go by after a close call and evacuating, the emergency list of items changes and the items get dispersed throughout the house. Your article was a reminder to get organized again. Thank you! I pay for backblaze to back up my computer. I don’t have to think about it. They back up everything. However, I would have to grab the boxes and family photo albums. Heirlooms include a Civil War drum. Sadly the grandfather clock that has been in my family for over 100 years would not be able to be moved. The more automated your systems are, such as the automatic backup, the better. I like that idea a lot. And you’re right, some items might not be able to go with us such as heavy or large heirlooms. But we also need to consider that in some cases you may not even be home when disaster strikes. Nice article! After we were evacuated from the Yarnell Hill, AZ, fire almost 5 yrs ago, we realized how much we forgot to pack. We were one of the fortunate ones: our house remained standing. I’ve been busy trying to get records and photos out of my files and onto Ancestry as well as getting them sent to other family members. My goal was to have everything in one room including the heirlooms, it will keep me from running around searching. We also included file boxes of important documents not related to genealogy (Titles, Insurance, Medical, Veterinary licenses, etc.) in the closet of that room. 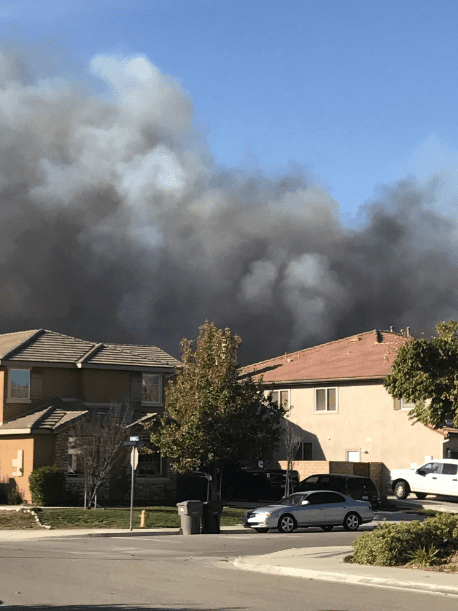 Thank you for the article and increasing awareness for those who have not experienced having to evacuate -– the smoke, ash and police requesting you to evacuate does something to the brain and thinking clearly isn’t always going to happen. Case in point, we both left our paychecks sitting on the counter. I agree, the panic that sets in tends to not be helpful in thinking your escape rationally. I like your idea of having one room that holds their heirlooms. that would make everything much easier. Thanks Gena, this is a very helpful push for me to get back to digitizing. Hopefully we can all look back in 6 months and see some progress made on our efforts. Your experience has sped up my organization of the precious, irreplaceable items. Because I live in “tornado alley,” I made CDs/flash drives of all family photos and sent copies to various family members. But I do need to save the info on the Cloud. Thank you for sharing. Sending copies to other family members is vital. That will be part 2 of my efforts! Thanks for taking the time to read and comment on my article. I have lived in earthquake country — Southern California — all my life. Since the 1971 San Fernando earthquake I have kept all my genealogical original documents, Bibles, and photographs in large bins that can be moved quickly. Working 25+ yrs in the finance industry, I know of the importance of backing up my computer off-site. I use and highly recommend Carbonite as an off-site (in the cloud) service to back up all the files on my computer. I never have to remember to back up; it is done automatically and securely. I can access anything on my computer at any time remotely from Carbonite, even from my phone. The annual cost is very minimal, and well worth the peace of mind. (My only affiliation with Carbonite.com is as a long time customer.) My electronic genealogy is also off-site at Ancestry.com. One other thought: if you perish in a disaster or by other unexpected means, who will take over and have access to your “cloud” genealogy or other documentation? I have already made arrangements with my granddaughter and placed access codes into my safe deposit box. Thank you, Gena, for reminding us that a disaster can happen without warning, and to make it a priority to prepare for any eventuality. Thank you for sharing what you have done. You bring up a good point that everyone needs to consider: what happens when you die. Cloud-based backups are great but they need to be accessible to others when we are no longer around. We need to plan for that as well.